Deals in Galvanized and Black Steel Pipes and Tubes, H.R., C.R., G.I. Coils and Sheets, Structural Steel Materials, General Hardware and Power Tools. A Steel stockist is a retailer who stocks steel and steel products for sale. Steel stockists in UAE deal stocks a wide range of steel products which include steel gratings, steel beams, channels, round bars, cold rolled sheets, seamless pipes, hot rolled plates, and cold rolled plates. The steel merchants warehouse huge volumes of steel which play an important role in the construction industry. Steel stockists in UAE make all kinds of steel products readily available to customers and are capable of delivering products to customers within a short period of time. 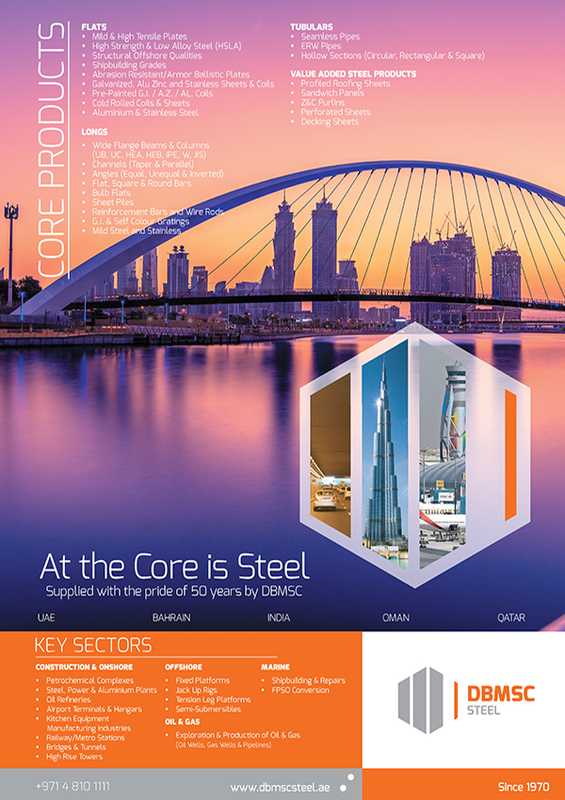 Some of the most popular locations in UAE to find steel stockists are Jebel Ali, Al Sajja industrial main road in Sharjah and Mussafah industrial area in Abu Dhabi. Steel stockists construct warehouses that are strategically placed for the easy transport of goods through any means of transport. Steel stockists may also involve themselves in the manufacturing process of the steel products and then store the finished goods in their network of depots. They also deal with structural steel that modified and casted into shapes. Steel stockholders always pay special notice on the types of client services that they can offer. Their clientele relationship is renowned for quality and precise workmanship. They not only strive for quality but they believe that quality come from standard. They also provide unmatched standard of service and quality to its customers that no one can come close to competing with the range and volume of products that they offer.